Transform and optimize commercial operations to compete in today’s digital world. Today’s climate for commodity traders is constantly evolving and ever more complex. The availability of data, distribution of asset ownership, growing retail marketing, and current market dynamics are urging them to look at new ways of working across the enterprise. Partnering with producers, traders, marketers and consumers across the commodity supply chain, we help you transform and optimize your commercial strategies and operations by integrating digital solutions throughout your value chain. 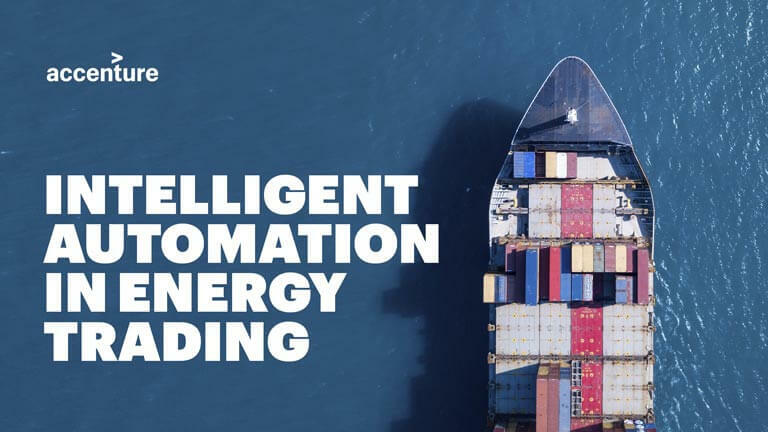 Artificial Intelligence (AI) and Robotic Process Automation (RPA) are expected to transform the energy trading landscape. See key steps to thrive. We offer innovative and end-to-end trading and commercial services at scale. Enhance return on investment by rethinking M&A and business models, and optimizing your value chain. Optimize your technology roadmaps and sourcing strategies to protect margins and improve speed-to market. Pursue smarter commercial strategies and enable control through applied intelligence and Industry X.O solutions. Strategize and implement application and back office outsourcing for operational excellence. Acquire, retain and grow your wholesale presence through the adoption of new customer platforms. Blockchain can help you provide increased visibility, transparency and accuracy of freight cost invoices.